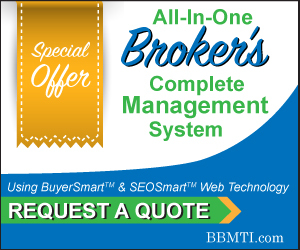 The BBMT team, developed in 2005 by a team of brokers and IT gurus, set out to create far more than just a website with webpages without intelligence; rather they wanted a complete management system for brokers who wanted to take control of their marketing messaging rather then allow Co-Star, Loopnet.com and BizBuySell.com to dominate their messaging to buyers and tenants. The result was one of the most sophisticated smart website technologies available to commercial and business brokers, yet easy to operate. Our platform has a host of robust technologies and tools designed to convert your commercial or business brokerage firm into an internet marketing powerhouse reaching millions of buyers and sellers and making you money, not costing you money. La Bouakham joined BBMT, Inc. with over 7 years of marketing experience. She graduated with a Bachelor of Arts degree at the Art Institute of Phoenix in the Advertising program. Her career began at one of the top marketing agencies in the valley of Phoenix. While at the agency she planned and executed digital campaigns for a wide variety of clients such as HERDEZ Salsa, La Victoria, Don Miguel, Idahoan Potatoes, Casino Arizona & Talking Stick Resort, ARAMARK, Arizona Lottery, MidFirst Bank, Thunderbird School of Global Management, Bureau Tobacco of Chronic Disease, and more.